This seems like such a silly topic to be dreading, but I was not looking forward to it at all. I rarely, if ever, write reviews for the books I read. I used to be very into writing music reviews for the CDs I bought on Amazon, but for some reason I find it much harder to comment about books. I always feel like my reviews would be incredibly repetitive, or too spoiler-y. I hate when books are spoiled for me, and I wouldn’t want to do that to anyone else, but I find it hard to comment about books in any level of detail without risking spoiling something. It’s also hard sometimes to figure out what people would consider a spoiler. Looking back on my Goodreads page, I saw that the majority of the reviews that I did end up writing were when I wanted to give the book a half-star rating, and I guess I felt the need to justify why it was halfway between a 3 and a 4, or a 4 and a 5. Most of the time though, I just give my rating and leave it at that. For some reason, the majority of the books that I have reviewed are children’s books, which I guess is because there is a much lower risk of spoilers. 1) All the Bright Places by Jennifer Niven – I left literally a two sentence review of this one, commenting that I’d worried it would be a fairly typical YA road trip book, but it ended up impressing me. I’m not linking this review because it is literally the same comment that I just mentioned. 4) Lilly’s Purple Plastic Purse by Kevin Henkes – Again, it’s a children’s book but one that has really stuck with me. This is one of the handful of books that I also reviewed on my blog (here), with my original intent of using this blog to review books for my rejects challenges (that I eventually abandoned). I reviewed this one because it is an excellent children’s book that I think deserves a lot more attention. (Review here). 5) Testimony by Anita Shreve – I think this review was from my short-lived phase of actually trying to review many of the books I was reading for my challenges. This is one of the few reviews I’ve written that I would almost consider a “real” review, or at least an attempt at one. I really enjoyed this book. (Review here). 6) Saving Max by Antoinette van Heugten – I’m not surprised at all that this was one of the books that I’d reviewed. Actually, I would say that “rant” is a more accurate term! This book had such a great concept and I was really looking forward to reading it, but was very let down by the execution. (Review here). 7) Junie B. Jones and the Stupid Smelly Bus by Barbara Park – This is one of my all-time favourite children’s books and something that I still find a lot of fun to read even now as an adult. Junie B. Jones is an absolutely hilarious character, and I think this first book is still the best in the series, covering Junie B. Jones’s anxiety about her first day of school. I reviewed it because it’s a series that I think most kids would love and I’d hope is still getting some attention. (Review here). 8) The Babysitter’s Club Graphic Novels by Raina Telgemeier – I reviewed the first four graphic novel adaptations together on my blog (here), and wrote separate reviews for Kristy’s Great Idea and Claudia and Mean Janine (linked below) on Goodreads. I was completely obsessed with the Babysitter’s Club series, and I love that it’s getting revamped into this new format. I reviewed the two mentioned above specifically because I wanted to comment about the strengths of the graphic novels in general, and specifically about how amazing Claudia and Mean Janine was, especially since it was not one of the original series that I really loved or remembered. (Reviews here and here). 9) Defending Jacob by William Landay – This is still one of the best books I read in the past few years, and I felt compelled to review it even several months later because of how much it stuck with me. I went into this book not expecting very much, but ended up really loving it and it is one that has stuck with me even 4 years later. (Review here). 10) The Underground Railroad by Colson Whitehead – I think I felt compelled to write a short review for this one because I definitely didn’t love it as much as everyone else had, and wanted to explain why. I think this book was a victim of it’s own hype for me. It had some parts that I really enjoyed, but I just couldn’t get into it and I was disappointed I didn’t like it as much as everyone else. (Review here). I’m surprised that I haven’t done this tag before. It was created by EmmmaBooks (original video here), who is one of my favourite channels, but more than that, I very strongly remembered doing these questions at some point. I think I must have answered these questions as part of a read-a-thon game or something on one of my Goodreads groups instead. This tag is all about things that we wish would have been different about books, which seems like a lot of fun! In her video, Emma also commented that this tag was inspired by the Totally Didn’t Book Tag, which is something I can also tackle at some point in the future. Immediately I think this is a difficult question since I’m generally fairly happy with the way authors wrap up their standalones, but I would definitely love to see more of Nimona! I’ve already read this book twice and can’t get enough of these characters. Harry Potter is the obvious and cliche choice, but I’d love to have a spin-off following the Marauders, or the Order of the Phoenix and see what everyone else was doing, especially during the events of the 5th and 6th books. Otherwise, it’s a tough choice because I feel like every series I would have chosen already has a spin-off lined up. The Raven Cycle has the upcoming Dreamer Trilogy, ACOTAR is still on-going, and the Lunar Chronicles already has the Wires and Nerve graphic novels. I would love to see more set in any of these worlds, but I’m having a hard time thinking of books that need a spin-off series that don’t already have one. For this one, I’m limiting myself to authors who only have one or two books already, otherwise the list would be way too long. The first name that came to mind is Kathryn Stockett (author of The Help). I also can’t wait for more books by Akemi Dawn Bowman (author of Starfish and Summer Bird Blue), who has multiple upcoming but untitled books listed on Goodreads, and by Nicola Yoon (Everything, Everything and The Sun is Also a Star). I also almost forgot to mention Corrie Wang (author of The Takedown)! I really struggled to come up with anyone from a book for this one, but the first character who came to mind was Willow Rosenberg from Buffy the Vampire Slayer. Full disclosure: I am not up-to-date on the graphic novel seasons at all. I’ve only read up to the end of season 8. I get why the show went in the direction that it did with Willow and Tara, but I really wanted them to end up together. In general, I would love if a YA love triangle would end up with the main character choosing the childhood friend for once! It’s so rare for that to actually happen, and I actually can’t think of any examples off the top of my head. The childhood friend is usually thrown in as an obstacle for the main character and the “real” love interest, and I wish this wasn’t always the case. The Delirium trilogy had an extremely frustrating and vague ending! There was a lot of great build-up, but it left everything so ambiguous and I remember feeling very disappointed with it. I often have a hard time watching any kind of adaptations for books that I know well since I inevitably end up comparing and getting annoyed with what was skipped over or changed, but I would love to see the A Court of Thorns and Roses as a movie or the Daughter of Smoke & Bones series. 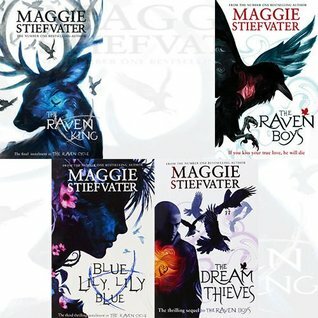 Definitely The Raven Cycle by Maggie Stiefvater. I think a TV series would do a much better job at capturing the atmosphere of this series. I’d also love to see The Lunar Chronicles as a TV series, or maybe a movie franchise. I’m not entirely sure which way I think would be better. The Matched trilogy! I don’t think much was added to the story by adding another perspective in each book, although I can understand why it was done. To be fair, this trilogy kind of fell apart a bit as it went on anyway. The same goes for adding Four’s perspective in Allegiant — while it makes sense why the author would suddenly choose to do that, it didn’t work for me because I couldn’t differentiate him from Tris. I often found myself having to check the start of the chapter to remind myself who was talking. I haven’t read either of these yet, but I own them and the pictures actually look a lot better than it does in person. Both books are an obnoxiously bright shade of yellow. For Before I Go, it seems silly to colour the entire cover that way since it clashes with the yellow flower petals, and I don’t think the bright pink on the other cover looks very nice with the bright yellow either. As much as I don’t pay attention to cover art, it does bug me a bit when they randomly change in the middle of a series. If you’re going to pick a cover design, at least stick with it the whole way through. In general, I’m not really a fan of people’s faces on book covers, so I don’t mind when they move away from that (ie. Shatter Me). I think that’s part of why I don’t like movie tie-in editions, since I’d rather not see the actors on the covers. I’m not even sure why I don’t like people on book covers! What tends to bug me about cover changes partway through a series is that it makes my copies seem so inconsistent. For example, I own Flame in the Mist with the cover below, but can only find Smoke in the Sun with the other cover below, and it bothers me that they don’t match! I could just pick Matched for this one again. I actually enjoyed the first book in that series, and looked forward to reading the rest because I’d seen so much hype for them, but it was disappointing. The middle book was boring, and the last book suddenly brought in a whole new plot element (a plague) that had never been mentioned previously, and although it was interesting, it seemed out of nowhere. I had a surprisingly hard time with this one! I follow quite a few bloggers and vloggers, but many of them seem to focus mostly on contemporary books. It’s funny because when I think of the videos I watch, I know that many of them discuss fantasy series like The Raven Boys, Throne of Glass, Six of Crows, and of course, Harry Potter. But when it came time to actually think of my favourites, I seemed to only find channels that focus on contemporaries. To be fair, the two or three channels that I really consider my favourites focus primarily on YA books or sometimes adult contemporary, and one channel focuses quite a bit on thrillers. I find I often gravitate more towards videos or blogs about contemporaries because it seems easier to talk about those without risking spoilers, especially when so many fantasy books are parts of a series. I like to get at least some specifics when I read about a book I’m considering adding to my TBR, so it’s nice to be able to read some plot detail without worrying about spoiling previous books. In general, there are so many great content creators out there, and I often watch multiple book-related videos or read book blogs daily! Top 5 Wednesday is a meme created by Gingerreadslainey on Youtube, and is now hosted by Sam at ThoughtsOnTomes. The official GoodReads group with the weekly topics can be found here. 1) Emily Fox of BooksWithEmilyFox – Emily Fox was the first person who came to mind for this week’s prompt. Emily Fox reads mostly sci-fi and fantasy, and although our tastes are pretty different, I love her videos and always look forward to a new one. I don’t read a ton of sci-fi, and although there are many books that Emily talks about that I also love, there are also many that I’m not so into. I think of all the channels here, she is the one that I have the least in common with, but it says something that I love watching her videos anyway, even when the books themselves are not necessarily ones that I would pick up. 2) Sam of ThoughtsOnTomes – I guess this is a bit of an obvious choice, since Sam is now in charge of Top 5 Wednesday, but she is also one of the first book-related channels that I subscribed to. I love how Sam is upfront and honest about her opinions, but in a very respectful way. 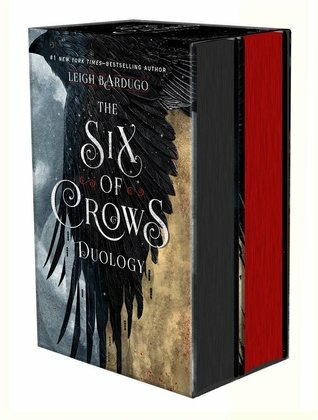 It is because of her videos that I finally decided to read the Grisha trilogy and especially the Six of Crows duology, which has now become a favourite. I love watching Sam’s videos to stay up to date on new and upcoming SFF releases, and I’ve enjoyed many of the same books that she has recommended. 3) Grace of G-Swizzel Books – This is a channel that I’ve been watching for quite a while, but has only recently become a favourite of mine. I started watching G-Swizzel’s videos because of Top 5 Wednesdays and book tags, and soon followed her because I realized we had quite similar tastes, at least when it came to SFF series. I love her videos because she is Australian and often mentions books that I might not have heard of otherwise. I also love her energy in her videos and how she enthusiastic she is about the books that she is talking about. Her videos are always a lot of fun to watch. 4) Hannah of A Clockwork Reader – This was one of the channels that I didn’t think of immediately because I more closely associated it with YA contemporary books, but Hannah also reads quite a bit of fantasy (and she is a huge Harry Potter fan like me!). Hannah was also among the first channels I subscribed to and I always look for her new videos. My taste in books tends to be quite similar to Hannah’s and I look to her videos for recommendations very often. I think she speaks very well and expresses her opinions so eloquently. It’s also fun to see her videos with some of the other channels that I follow (ReadbyZoe and HaileyInBookland, both of whom I watch but a bit less often). 5) Emma of EmmmaBooks – I feel like I’ve only really gotten into Emma’s channel in the past year or so, but she’s very quickly become a favourite. It’s also a channel that I immediately associated with YA contemporary, which is a bit weird because what I remember most strongly of her videos is Emma’s obsession with Cassandra Clare’s Mortal Instruments books. Looking back at her videos, Emma does talk quite a bit about fantasy books and series so I think it definitely works as a SFF channel, at least partially. Emma is another vlogger whose tastes tend to be quite similar to mine, and I love her content in general. I always look to her videos for recommendations and they are a lot of fun to watch. It’s looking to be a very rainy week this week, so this prompt couldn’t be more appropriately timed. When I think of a “rainy day read,” I tend to think of books that really captured my attention or that I wanted to read in one sitting. I love to stay indoors when it is raining and just read for the whole day. To be fair, I generally love to stay in and read any day, but I love the whole atmosphere of a good book while listening to all the rain outside. To some degree, I also associate rainy day books with books that are very atmospheric or a bit on the darker side. I guess that just seems to fit with the gloomy weather in my mind. The books that I ended up choosing are all books that I found very compelling, and would have loved to have an entire day (rainy or not), just to read them straight through. I’m just finishing off this book today, after very grudgingly putting it down to go to bed last night. Akemi Dawn Bowman is quickly becoming one of my favourite new YA authors, and I would also highly recommend Starfish as a rainy day read, or really for any day. Actually, of the two I think I enjoy Starfish a tiny bit more but they are both 5-star reads for me. 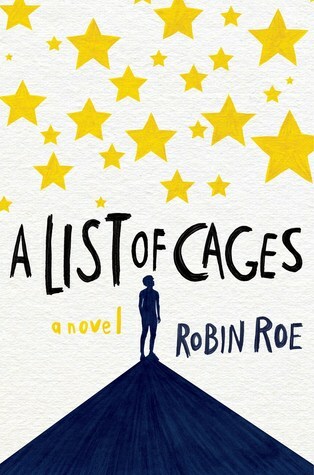 This book is about a teenage girl named Rumi whose sister has died in a car accident. Rumi is sent to Hawaii to live with her aunt while her mother deals with her own grief, causing Rumi to feel abandoned. Rumi is also struggling with the fact that her sister Lea was her songwriting partner and they had a song in progress when Lea died and is struggling to finish the song on her own. I think this book would be a great rainy day read because it is so impactful and beautifully written. The Hawaiian setting could also be a great getaway from the rainy weather, although I have to admit that I found the use of pidgin English by many of the characters a little hard to read at times. This is the kind of book that kept me so absorbed in the story all the way through, and it’s been really hard to put it down. Big Little Lies would also be an excellent choice for a rainy day read, but I feel like I’ve mentioned that one quite a bit on this blog. 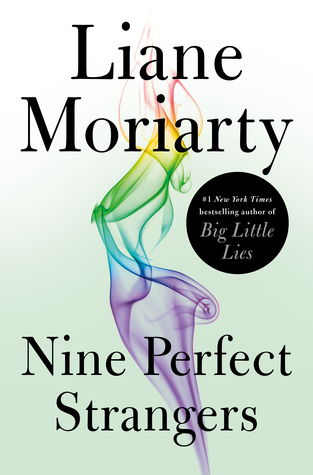 This is actually my favourite Liane Moriarty book so far after Big Little Lies, and it had such an interesting premise. This book is about a group of nine people who are all visiting a health resort for a ten-day retreat. The book alternates between the perspectives of the various guests, as well as the resort’s owner and employees. It is a lot of perspectives to keep track of, but I had no trouble telling the characters apart, although I found some more interesting than others. I thought the book was very unusual, and there were a few unexpected turns toward the middle that I didn’t expect to enjoy, so I was pleasantly surprised to realize that I was still completely invested. I thought the characters were all well-written and realistic, and I was especially intrigued by the odd methods that the spa was using, and the way Liane Moriarty kept me guessing about what the owner’s intentions were. It was a very intriguing story and easily kept me reading! This was one of my most highly anticipated books to read this year. It came out last May, but I didn’t have any room to squeeze it into my 2018 reading challenges, so it was one of the first to be added to my list this year instead. It is about a woman named Winnie who is part of a group called the May Mothers, who are all parents with infants born in May who meet to support each other. While out with the other parents one night, Winnie’s infant son goes missing, and several of the others in the group take it upon themselves to help figure out what happened. This book captured my interest from the very first pages, although I was surprised to find that the thriller element was not quite as prominent as I expected. What I loved most about it was how the author addressed so many different attitudes toward motherhood through the perspectives of different women in the group. I loved the writing and the characters, and the ending caught me off-guard (in a good way). 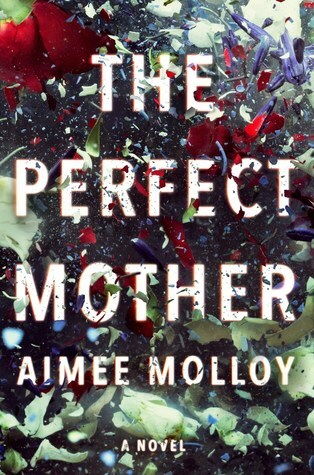 I think thrillers in general make a great rainy day read, and even though this was not as much of a thriller as I thought, it was a great read. It’s safe to say that these books have become my recent obsession, but with good reason. 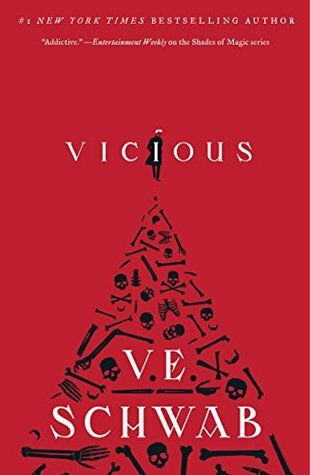 I read Vicious in December last year and it immediately took one of the top spots as a favourite of the year. This duology, which is rumoured to possibly have at least one more book coming, is about two college roommates and rivals, Victor and Eli, who shared an interest in the development of extraordinary abilities. When their experiments go horribly wrong, it leaves the two of them with opposing views on EOs (people with extraordinary abilities), and seeking revenge. 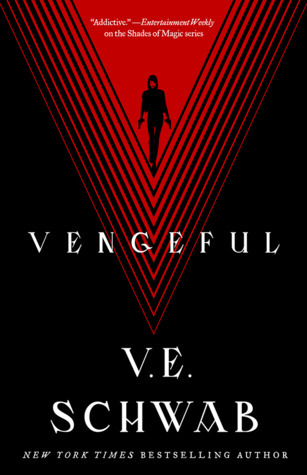 Vengeful follows the events of the first book five years later, but I won’t reveal too much since it is tricky to do that without giving any spoilers for the first book. In general, I think V.E. Schwab’s books make great rainy day reads because I find that I prefer to read them straight through as much as possible. Her characters are very interesting and her story premises are so creative, and I seem to enjoy them best when I read them uninterrupted. I think a rainy day would be the perfect opportunity to read these straight through. I’d been meaning to read this book since mid-2016, when I first saw it on Goodreads, about 6 months before it was released, although I somehow kept putting it off until this year. I finally picked it up this year, and it is one of the strongest books I’ve read so far this year. This book is about a teenage boy named Adam, who begins to work as an aide for the school psychologist, with the task of bringing another student to his appointments. He soon realizes that this student is his former foster brother, Julian, who had been sent to live with his Uncle Russell. This book is definitely not a light or fluffy contemporary, but it is a very memorable one. I immediately connected with both of the main characters and thought they each had a distinct voice. I especially loved how the author developed their backstories, and the amazing bond that develops between the boys. It is another book that is difficult to discuss without giving spoilers, although I think the synopsis hints at the direction of the story strongly enough. I think this book would be a great rainy day read because it is such a compelling, character-driven story and one that would be great to read in one sitting. This is another duology that I think has become a recent obsession, but again with good reason. It is about a criminal mastermind named Kaz Brekker who is hired to carry out a heist, with the help of a team of other misfits. I enjoyed the Grisha trilogy but didn’t quite love it, so I was completely blown away by this duology. I especially enjoyed the incredible cast of characters and the dynamics between everyone. I’ve come to realize that I generally enjoy books like this that have an ensemble cast of unusual people. I also loved the intricate plot, especially because I’m not usually interested at all in heist stories. I definitely think it is worthwhile to read the Grisha trilogy first. It isn’t absolutely essential, but I found it very helpful. This is another duology that I think would make excellent rainy day reads because the characters will draw you in, and because the complexity of the schemes that the characters undertake are easier to follow if they are read straight through. I’m so glad I read these books. I’m sure I’ve mentioned this series to death by now, but I think they would make the perfect rainy day read because of the atmosphere. The series is about a girl named Blue who meets a boy named Gansey and his friends, a group of students from the local private school, who are searching for the sleeping king Glendower along the ley lines. This has been the first series in a long time that has captured the same kind of feeling for me as my first time reading Harry Potter. I think the books are so atmospheric, which adds so much to the air of mystery around the ley lines and the boys’ quest. I do remember finding the plot a tiny bit confusing at first, but it didn’t take long for me to get fully invested in the story, especially because of the strength of the amazing characters. These books have quickly become one of my all-time favourite series and I’m already looking forward to eventually reading them all again. With four books in the series, it’s probably too much to devour in a single rainy day, but I think reading these while listening to the rain would add so much to the already incredible story. I would actually recommend most Jodi Picoult books for a rainy day, but I singled this one out because it is one of my favourites. In general, I think Jodi Picoult’s books would be great for a rainy day because I never want to put them down once I’ve started them! To be fair, I haven’t read her first two books yet, and there are a couple more of her earlier books that I’m not such a fan of (Keeping Faith and Picture Perfect were both my least favourites, although still quite good). 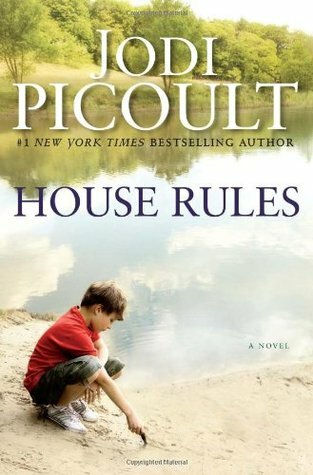 House Rules is about a teenage boy named Jacob who has Asperger’s syndrome, and a strong interest in forensics. When his social skills tutor is murdered, Jacob quickly becomes a suspect, with many of the behaviours that are characteristic of his ASD appearing to be signs of guilt. I thought this book was incredible because of the way Jodi Picoult brought us into Jacob’s mind, while also showing how he appeared to the people around him. I especially loved how it tackled the difficulty the justice system has with people who behave differently. I’ve read this one twice and thoroughly enjoyed it both times. I would highly recommend any Jodi Picoult book for a rainy day, but especially this one. This was another book that I somehow waited way too long to read. I think it became one of those books that I actively avoided because it seemed too overhyped, to the point where I decided that it couldn’t possibly be that great. I finally picked it up in December of 2017 and was completely blown away by it. It is definitely one of the strongest thrillers that I’ve read, and I’m glad I finally decided to listen to the hype. 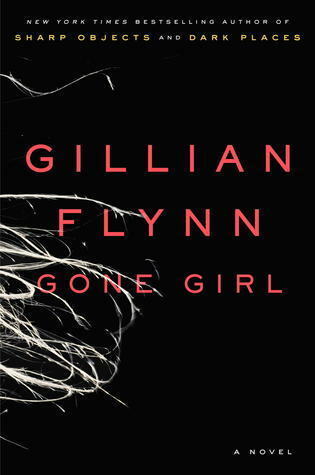 This book is about a man named Nick Dunne whose wife Amy has gone missing on the couple’s fifth anniversary. Nick quickly becomes the prime suspect in her disappearance. I find it nearly impossible to discuss this book in any amount of detail without risking spoilers for anyone who, like me, is still late to picking this one up. What I think I can safely say is that it is very intricately crafted with such fascinating characters, and it is definitely a book that was really hard to put down. I think this would be a great rainy day read because of the darker tone to the story, and also because it would be a great one to read in one sitting. I’ve always been a bit hesitant to mention this one of this blog since I thought I’d brought it up a lot over the past few years. Surprisingly, when I looked back on my earlier posts, it seems like I haven’t included it nearly as much as I thought. This book was easily a standout of my first year of reading challenges, and possibly even the single most memorable book of that year. It is about a teenage boy who is accused of killing a classmate, and his parents have conflicting views about whether their son could be guilty. I was hesitant to pick it up at all because I’d read it for a prompt requiring a book that my mom loves. Although we have similar taste to a degree, she loves quite a few books that I have no interest in at all. This book did get a tiny bit slow in a couple of places, but overall it was such an intriguing story, with some plot points that still haunt me even now, 4 years after I read it. It did an amazing job of keeping me guessing about Jacob’s innocence or guilt, and I’ve yet to read another book that handles this kind of plot as well as this one did. When it comes to looking at reading patterns over the course of a year, or even a month, I’ve noticed that it seems to be much easier for people to look for the inevitable reading slump. I’ve seen so many blogs and vlogs complaining about readers feeling like they are in a slump. Trust me, I know the feeling. I’ve had so many reading slumps over the years, and it can be really hard to pull out of one. What seems to be much less common, however, is hearing about reading that is going really well. In fact, I’m not even sure we have a word for whatever the opposite of a reading slump would be. The best I could come up with was “reading streak” but I’m not sure if that really sums it up either. What I mean by a “reading streak” is when we find ourselves having a great time with our reading for an extended period. Instead of having several books in a row that were disappointing, a “streak” could be reading multiple excellent books one after the other. I thought of this recently because it’s happened to me. In the past two weeks alone, I’ve read three books that were easily 5 stars (Vengeful, The Perfect Mother, and Nine Perfect Strangers), one that was a 4.5 (Circe), and I’m currently in the middle of Carry On, which I’m expecting will be a 4.5 or 5 star read by the end as well. 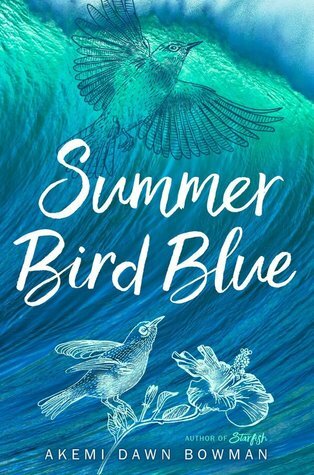 I also have Summer Bird Blue coming up next, which, if it’s anything like Starfish from the same author, I’m expecting to love too! As good as I’ve become as finding books that I’m fairly confident I’ll enjoy, I don’t think I’ve had a streak of so many great ones in a row this year since January, and that was because I re-read the entire Harry Potter series. In fact, this year so far has been a little hit-or-miss, in the sense that I’ve often read a couple of books that I’ve really enjoyed, followed by one or two that were a bit disappointing. Even looking back at my previous years of reading challenges, it seems pretty rare for me to have so many consecutive books that are 4.5 stars or higher. Each year had multiple books that I loved, and a majority that were in the 4 star range, but nothing that I would necessarily classify as a “streak.” I think the closest I came was in November of 2017, where I had 5 books rated 5 stars in a row, but one of those was a re-read of The Lion, the Witch and the Wardrobe. Actually, when I looked closer I found another streak in May of last year with 5 consecutive 5-star reads (Turtles All the Way Down, Every Note Played, Gemina, Obsidio, and Keep You Safe), so it seems like it happens only once or twice per year. In general, I think many of us who blog or vlog about reading tend to put a lot of pressure on ourselves to read more and read quickly, so it can be tough to avoid the slump mindset. Aside from when I’m just not really enjoying the books I’ve chosen, I find that I feel most slump-y when it feels like the books I’m reading are taking too long. I don’t like to rush through books for the sake of crossing items off my challenge lists, but it does sometimes cross my mind that I should be reading it faster. When I’m really into a book, I tend to read it quickly anyway since I don’t want to put it down, but sometimes I just don’t have as much time to devote to it so it takes a little longer. Sometimes, I need to take that step back and remind myself that it is totally fine to slow down a bit. No one is policing my reading challenges, and there’s absolutely no consequence of not finishing “on time” (except for my own logistical headaches if I try to carry books forward to the next year’s challenge!). I’ve also wondered if one of the reasons I don’t have these kinds of streaks more often has to do with the way I organize my reading. I’ve mentioned before that I intentionally try to space out the books I’m most excited for throughout the year so I don’t go through them all too quickly, and leave myself with books that I’m not as interested in. There’s always a few prompts per year that I’m just not into at all, and pick whichever book is the least painful for me to still fulfill the prompt. It’s rare that I find a book that I love on prompts that I really hate, but sometimes it works out well (ie. Beartown for a prompt about a sports-related book, which I ended up adoring and giving 5 stars). In a way, it seems like my method might be a little counterproductive, since it often leads to purposely separating books that I expect to get 4.5 or 5 stars out, thus breaking the streak. I’ve found it helpful to separate books out like this, but on the other hand, I also find these kinds of reading streaks very helpful to my challenges too. It’s very motivating to read book after book that I’m loving, and it makes me want to keep the momentum going by reading more and choosing more books that I expect to love. With my current library stack, I’ve found myself looking at the titles and trying to guess how many of them will contribute to keeping my streak going longer. There’s nothing in it right now that I expect to be any less than 4 stars, although to be fair, I’m not sure if I should count 4 stars as a reading streak when those books already make up the majority of my reading. In a way, I also find that reading streaks help me go into the next book with a more positive attitude. Instead of going in unsure about whether I’ll like it, I pick up the next book hoping it will just add to the streak. Of course, it can be a bit disappointing when it doesn’t, but I think I’m much more likely to enjoy a book more if I already go into it expecting to like it. I’m very curious now to see what the longest streak I can accumulate is, although I don’t plan on changing my reading specifically to make sure streaks happen. Discussion Time: What is the longest “reading streak” you’ve ever had? Why is it so much easier to talk about slumps? We had a very similar prompt for Top 5 Wednesdays around this time last year. I dreaded it then, and I dread it even more now! There are hardly any characters that I would think of as jokesters in the sense that I assume the prompt is referring to. Mostly, the only ones that come to mind are the Weasley twins. After much struggle to figure out a way to differentiate the prompt a bit, I decided to focus instead on “funniest characters” instead of jokesters specifically. I tend to think of “jokester” in the relatively narrow sense of someone who plays tricks or pulls pranks on other characters, whereas a very funny character for me is often someone who makes snarky/witty comments, which I guess is a different kind of joke anyway. I think I commented last year that characters who are intended to be funny can be pretty hit or miss since it depends on whether your sense of humour matches the characters’ kind of joke, but these are all characters that I found very funny at the time. 1) Georgia Nicolson from the Confessions of Georgia Nicolson series by Louise Rennison – To be honest, I can’t remember if I ever finished the whole series, but these books were my favourites for years! It is about a British teenager named Georgia Nicolson, written in the format of diary entries where Georgia talks about her friends, families, and crushes. I’d love to re-read this series at some point, although I’m not sure I’d find it as funny anymore. Even when I first read it, I found it tough sometimes to read too many in a row without getting a little bored/irritated with the characters, but Georgia is very funny! 2) Nina Zenik from Six of Crows by Leigh Bardugo – Nina quickly became one of my favourite characters in this series, and her humour was a huge part of that, especially in her interactions with Matthias. To be fair, there were quite a few funny characters in this series because many of them had exactly the kind of witty humour that I love, but there are certain specific scenes involving Nina that made her stand out most. Unfortunately I don’t own copies of this duology (yet) so I can’t find the specific scenes that I’m thinking of, but I loved how Nina brought such a sense of humour to the group in general. I think out of everyone, she was the most relatable to me (maybe because of her love of cake), and she was so much fun to read. 3) Kenji from the Shatter Me series by Tahereh Mafi – I’m quite a bit behind on this series, and I also made the mistake of waiting almost a year between each of the first three books because I was trying to read so many popular series at once, and limited myself to just one book in the series at a time. To be completely honest, I don’t remember that much of Kenji’s role by now, but I remember finding him very funny (although a bit obnoxious at times). He was a lot of fun to read, and I especially loved seeing him effectively break the fourth wall once and call out Juliette and Adam for being too melodramatic. It was so much fun to see a character thinking exactly what most readers would have been at that point, and directly mentioning it! 4) Captain Thorne from the Lunar Chronicles series by Marissa Meyer – I think I’ve mentioned before that Thorne was a character I didn’t expect to like very much because he seemed like such a player, but he very quickly won me over when I saw his dynamic with Cress. More than that, Thorne has exactly the kind of snarky, sarcastic humour that I tend to love in books. I loved his dynamic with the rest of the group. In general, this was a very funny series that balanced the humour really well with the rest of the storyline. It’s been quite a while since I finished reading it so it is hard for me to remember specific Thorne scenes that I loved, but I always looked forward to reading any parts that he was in and Cress was my favourite in the series in part because of him. 5) Zuzana from the Daughter of Smoke & Bone series by Laini Taylor – I was originally going to pick Nikolai from the Grisha trilogy, but although he is definitely among my favourite funny characters, I thought my reasons for him were very similar to those for Thorne, and I also wanted to avoid two characters by the same author. My next choice would have to be Zuzana, because she brought so much levity to a series that was otherwise quite dense and at times dark. Zuzana’s scenes were always so much fun to read. Like Nina, I think it was partly the love of cake that won me over, but in general she was a great character and hilarious! It’s pretty much impossible for me to follow this week’s prompt the way it is written, because I can’t think of a single outrageous thing I’ve ever done for books. I’ve always been a huge reader but I don’t go to book events, conventions, etc. I’m not particularly in midnight releases (mostly because books are so expensive when they first come out!) or book signings. I’m not the type to skip school or work just so I’m able to read more, although there have been times where I’ve been tempted. In general, I’m too much of a rule-follower to do anything really outrageous. I decided to tailor this one a bit to focus more on some weird/unusual things I’ve done involving books, so hopefully that is a close enough fit. 1) Hoarding books – Library book sales were always my favourite time of year. My library gave out fairly large bags, and they only charged $1 per bag which could be filled with whatever we wanted from the tables. I often left with more than 1 stuffed bag, but didn’t always end up reading everything I took. At that point, I didn’t care much about the condition of the books so I would take anything that seemed even remotely interesting. The problem is, I also have a very hard time letting go of books so even though I never read them, it took me a long time to actually get rid of them too. 2) Collecting non-fiction books and using them to create my own “school” – I was always a bit frustrated with my school. I was supposed to be in the gifted program but only tried it for a couple of months before quitting because I hated the teacher. I always had in mind the idea that I would be better off creating my own school, so I would collect tons of non-fiction books (mostly from the aforementioned book sales) and made lists of “assignments” for myself for the “classes” I was taking. I never really did any of the work, but had a lot of fun making up an entire school system. I had a couple of toy backpacks that I filled with my “school” books and assignment lists, but never really followed through with it. 3) Collecting facts from books (AKA copying pages by hand) – When I was in elementary school and I had a PA Day or a school closure for any reason, my mom would take me with her to her job at the library. She worked and I would sit and look at books. When I was going through that “design my own school” phase, I would often end up bringing pads of paper and sitting with books about animals or other topics that interested me, and literally copy out pages word-for-word because I thought it would help me memorize the information. Usually, it was books in the Eyewitness series. 4) Hiding books that scared me – I can think of two books specifically that I had to hide because I was so creeped out by them. One of them was The Berenstain Bears and the Galloping Ghost, and the other was the Babysitter’s Club book The Ghost at Dawn’s House. I’ve always been a coward when it comes to ghost stories, and these books both scared me so much that it freaked me out to even see them. I don’t actually remember the Berenstain Bears book much at all, but The Babysitter’s Club book was a bigger deal because I collected them all and had them in order on my shelf, so to have this one missing bugged me, but I also couldn’t stand to see it there either because it would just remind me that it scared me. 5) The “Lurch” – This is another Babysitter’s Club-related one, but I also got really creeped out by Claudia and the Phantom Phone Calls. I’ve always had a bit of anxiety about creepy phone calls in the sense of calls where you’re home alone, and the phone rings but no one is there. I wasn’t scared enough of this one to have to hide it, but I remember the word “phantom” freaking me out so my parents suggested that I should just replace it with a different word instead so every time I saw the word “phantom” on the page, I’d just think the word I chose. Somehow, the word I ended up picking was Lurch from the Addams Family. I have no idea why, since he was never my favourite character or anything, but at least it worked! 6) Obsesssively re-reading the same books – I like to re-read in general, but I used to have this really weird habit of associating very specific books with certain events, and I felt almost compelled to read them at the same time every year. For example, I had a couple of Buffy the Vampire Slayer books that I always read at New Years while waiting for the clock to hit midnight, so for years I would take out the exact same ones every time and read them only on New Years Eve. I also would take the exact same Babysitter’s Club books to my grandparents’ house when we took our annual trip. I had it in my head somehow that I needed to take the same books every time, but I have no idea why. 7) Deciding to be an author with my best friend in fourth grade – My best friend and I spent most of our time in the fourth grade working on our own illustrated books, to the point where we imagined going into business together when we grew up. He would draw the pictures, and I would write the stories. We wrote 2 books and started a third, which I still have. Fast forward about 20 years, and neither of us are authors (nor can we draw), although he did end up becoming an English teacher. I’ve always had an interest in writing but I’ve never been able to actually follow through with any of my story ideas. 8) Keeping a journal because of my obsession with the Royal Diaries – I absolutely adored The Royal Diaries series when I was younger, and they motivated me to keep a journal of my own. I went through several years where I tried to commit to writing in a journal literally every day, and it went really well for a long time. The problem was I think I also partly thought of my journals as a book that would eventually be read by other people, like the Royal Diaries series. I never completely made anything up, but I definitely think I made many of my journal entries a lot more dramatic than they really needed to be so they would be “more interesting”… yet I never wanted anyone to read them either. I got very upset when one of my friends snooped through my drawers and read one, even though I was writing as if it should be read. I also remember writing certain things that I thought “should” be in there (ie. having a crush on someone when I actually didn’t) because that was the kind of thing that was in the books I was reading. 9) Colouring in my Little Mermaid books – Anyone who knows me now would know that I absolutely hate to have markings of any kind in my books. I find it extremely distracting to have any other writing on the page. I had some The Little Mermaid chapter books that I received as a gift, although I can’t remember who they were from. Apparently there were about 12 books in the series, but I can only remember the first two for sure. I’m pretty sure I had 3 or 4 of them. The Practical Joke War and Arista’s New Boyfriend both look very familiar. These books were new stories featuring the characters of The Little Mermaid in new stories, with black-and-white illustrations. I somehow got the idea in mind that I was going to colour in all of the pictures myself because they would look better. I don’t think I ever finished colouring them all, but it’s definitely unusual of me to do that! 10) Stayed up way too late to finish a great book – I’m sorry to end off on such a mediocre one, but I’ve run out of anything really unusual. I’m kind of a night owl anyway, but it’s unusual for me to stay up very late to read because I need to be awake for work. I have no problem staying up a little past midnight, but there have been times where I knew I had just a few pages left, and I’ve decided to just stay up a bit and finish it off. Occasionally I regret it because I might actually be too tired to process what I’m reading properly, but usually it’s because I’m so invested in the book that I really want to know what’s going to happen. I can only think of a handful of books that I’ve done this for, so it definitely counts as something unusual that I do, or at least unusual for me.